India is one of the world's foremost pilgrimage destination as it is home to the Sikhism’s holiest shrine, the Sri Harmandir Sahib, famous by the name of Golden Temple. 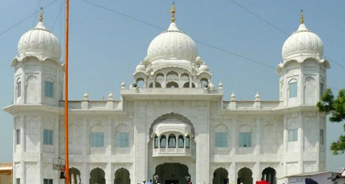 Also, the divine country is home to many other spectacular Gurudwaras that has a history connected with the grand events that took place in the history of Sikhism. And visiting all of them would be difficult as there are plenty in number, and some are even located in the highest places that might be out of reach for some. Considering all these facts, Tour My India has designed a special tour package that would take you to the major Gurudwaras of Punjab. The tour will include all the transfers, accommodations, free time to spend at your leisure and a guide would be provided to for the better understanding of the place. 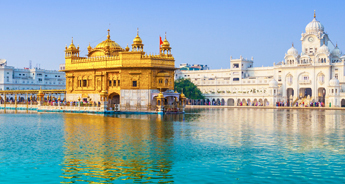 This immersive six-day tour from Delhi take you on an inspiring journey into Sikhism history, Gaining fascinating insight into Sikh tales from expert guides as you visit the notable Gurudwaras in Punjab. 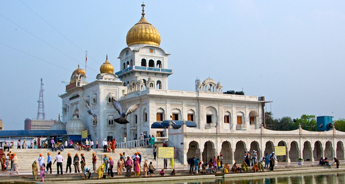 You will visit sacred places like Paonta Sahib, Gurdwara Fatehgarh Sahib, Gurudwara ParivarVichora and Harmandir Sahib. For more details, go through the detailed itinerary mentioned below. Upon arrival in Delhi, meet our representatives, who will further transfer you to a hotel. In the evening, you will visit the Gurudwara Bangla Sahib, which was built by Sikh General, Sardar Bhagel Singh in the center of the city, Connaught Place. Leaving the Gurudwara Bangla Sahib, drive to Gurudwara Rakab Ganj Sahib, the shrine that marks the cremation site of the ninth Sikh Guru, Guru Tegh Bahadur. 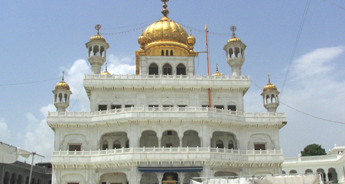 Further, visit Gurudwara Sis Ganj Sahib and Gurudwara Majnu ka Tilla Sahib. Overnight stay and dinner at the Delhi hotel. Early morning, drive to Paonta Sahib. 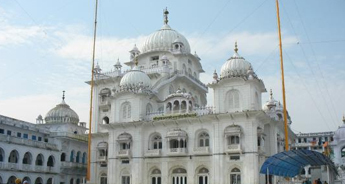 In the evening, visit the Paonta Sahib Gurudwara, Gurudwara Bhangani Sahib, Gurudwara Tirgarh Sahib and Gurudwara Shergarh Sahib. Overnight stay at the hotel. Post breakfast at the hotel, drive to Chandigarh. 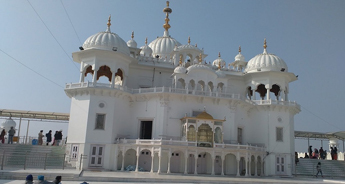 In the afternoon visit the Gurudwara Fatehgarh Sahib, which is a complex that consists of several Gurudwaras linked to the Sahibzadas (younger sons) of Guru Gobind Singh. Further, visit the Gurudwara Jyoti Saroop, the place where the mortal remains of Mata Gujri, Guru Gobind Singh's mother and his two younger sons, Fateh Singh, and Zorawar Singh were cremated. Also, you will visit the Gurudwara Shaheed Ganj, which was made to commemorate the martyrs who were killed by the tyrannical Mughals. Dinner and overnight stay at the Chandigarh hotel. Today, after breakfast, drive to Jalandhar. 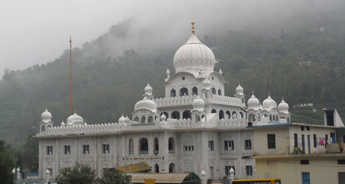 During the journey, from Jalandhar to Jalandhar, enjoy a short stopover at Maijto to visit the Gurudwara ParivarVichora, the place where Guru Gobind Singh got separated from his family. Dinner and overnight stay at Jalandhar. After breakfast, drive to SalempurMasanda, a village famous for Baba Dassa. Later continue drive to Amritsar. On arrival at Amritsar check-in at the hotel. In the evening, visit the Wagah border to watch the amazing closing-of-the-border (flag-lowering) ceremony that takes place each day. Dinner and overnight stay at Amritsar. In the morning, after breakfast, visit Harmandir Sahib (Golden Temple). Founded in 1577 by the fourth Sikh Guru, Guru Ram Das, Harmandir Sahib is one of the holiest shrines of Sikh religion. 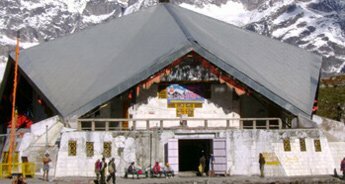 Further, visit Tarn Taran Sahib, Gobindwal Sahib, Summer Palace of Maharaja Ranjit Singh, and Bara Bazar (Langer in any Gurudwara). Dinner and overnight stay at Amritsar. After breakfast, drive to Delhi airport or railway station to board a flight or train towards the destination.